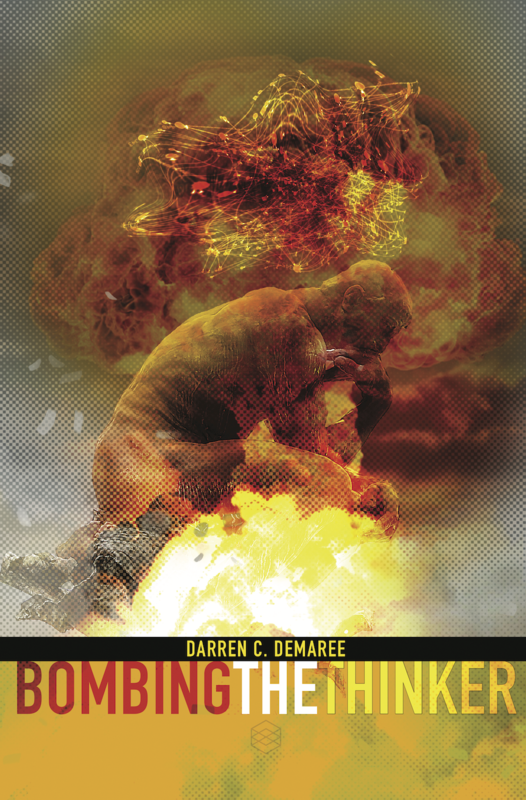 For today’s post, we asked our assistant editor Joshua A. Colwell to review Darren C. Demaree’s new poetry book, Bombing the Thinker (Backlash Press, 2018). This is Josh’s first time writing a review for our website. We hope you enjoy it. Poet Darren C. Demaree writes from Columbus, Ohio. His works have won him numerous awards, including: 2018 Ohio Arts Council Individual Excellence Award, Louise Bogan Award from Trio House Press, the Nancy New Taylor Award from Emrys Journal, among others. He has seven other collections of poetry and is the Managing Editor of the Best of the Net Anthology, and Ovenbird Poetry. In his ninth collection of poetry, Demaree takes a deep and thoughtful look through the eyes of the sculpture, The Thinker, who feels more like man than marble. The Thinker reflects on life, the bombing that scarred him, and the “rust-belt brilliance” of Cleveland. Tenderly wrought, yet at times as harsh as the winter winds whipping off Lake Erie, this collection commands your attention from the outset. The poems, to me, often seem to reflect the grit and rust from native Ohioans. The poem A Damaged Thinker #2 is short in length, but not on message. “I was raised up to be / here. I was destroyed / to be here forever” (p. 15). As someone who grew up in western Pennsylvania, right across the border from northeast Ohio, I see the faces of those people in these words. A blue collar crowd shaped by the sleet and snow of harsh winters and unforgiving economic times, they were born and raised against the backdrop of forgotten steel towns and winters that the locals still talk about to this day. Another piece I really enjoyed to was A Damaged Thinker #24. The poem revolves around those who bombed the statue on March 24, 1970. The second and third stanza of the poem speak of being made into something worth being seen. “cruelty of time without / the punishment / of my assaulters. I want / them named, with Rodin / as the men that made me / something to be seen” (pg. 49). While this poem speaks directly to the attack several decades prior, this poem couldn’t be more timely. With the #metoo movement empowering women to come forward with their stories, they are taking control of their situations and making themselves not only heard but seen. The collection is in many ways philosophical. Take for instance the lines from the poem Stabilized, Washed, and Waxed, “& the memory of how no art is ever / finished being made into more art,” (pg. 67). This is such a great way of showing how we as humans are always changing and evolving. We ourselves are works of art, damaged like The Thinker, forced to carry our scars and burdens through life as the onlookers snap their photographs. Find out more about Backlash Press here. Bombing the Thinker is available from Amazon here.